Our Rialto kids are amazing!!!!! 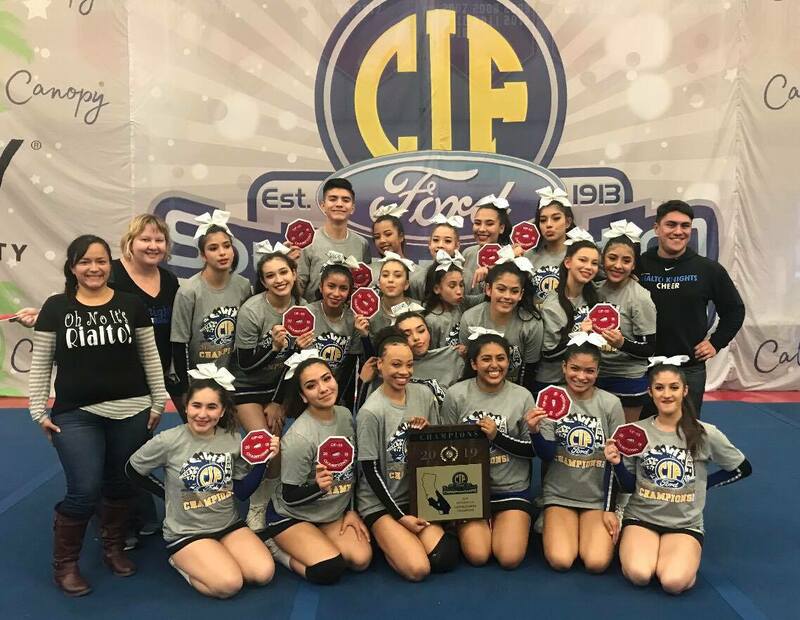 Rialto High School continues to find success in their Cheer program as they finished in 1st place at the CIF Division Competition this past weekend. This is the 1st year that the CIF has recognized Cheer as an actual sport. It all began with the C.H.E.E.R.S Act AB 949 sponsored by Assemblywoman Lorena Gonzalez Fletcher that made Cheer an actual sport (this writer had no idea it wasn’t until a few days ago). The Bill was signed into law by Jerry Brown in 2015. With Jerry Brown’s signature applied this began a clock on the CIF to develop a program for a new sport that had existed since 1898. With this being the 1st year of CIF sanctioned competition there was a race to be the first one to claim the honors of being #1. 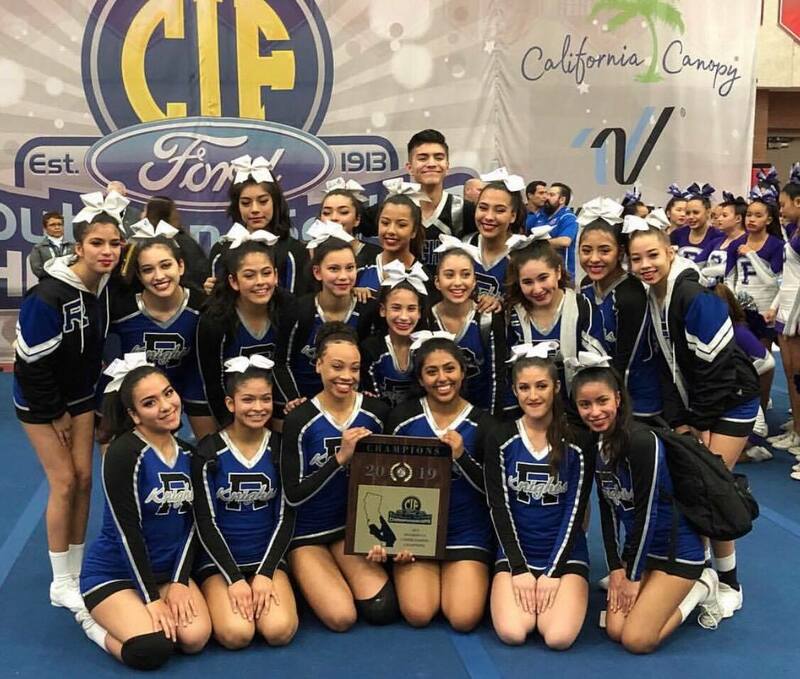 Rialto High School Placing 1st in the 4A Division isn’t that big of a surprise as they have been crushing it at the State & National USA cheer competitions for the last few years. In 2016 the team took 1st place in both State and Nationals and the following 2 years have either won state and or finished in the top three every year according to cheer adviser Valarie Campa. This isn’t the end for Rialto High Cheer. The team will compete this Saturday at the OC Fair and Event Center for the State Championship.